Obituary – Daniels, Phillips Cooke « Perry High School Alumni Association, Inc.
Phillip C. Daniels, 20, Perry airman stationed at the Crete, Neb., Air Force missle base, died Wednesday night of injuries received in a traffic accident at 8:15 p.m. Wednesday at a county road intersection with state highway 6, two miles north of Dorchester, Neb. 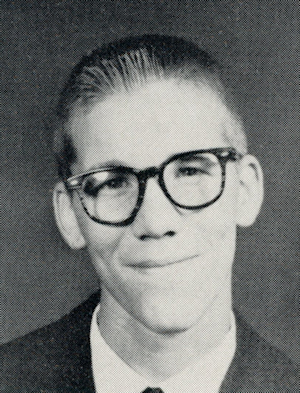 Born in Perry June 8, 1944, to Cecil and Bernice (Tucker) Daniels, he grew up here and attended Perry schools. He joined the Air Force in 1962 while still a senior at Perry high school and served as an Army specialist fourth class. He was a member of the Presbyterian church. Funeral service was at 4 p.m. Friday at the Crete, Neb., Methodish church. The body will be transferred to Perry for another funeral service and burial. Arrangements for the services in Perry are under the direction of Parker funeral home. Survivors include his parents, Mr. and Mrs. Cecil Daniels, Perry; one brother, Stephen, Stillwater, and his paternal grandmother, Mrs. Percy Daniels, Perry.